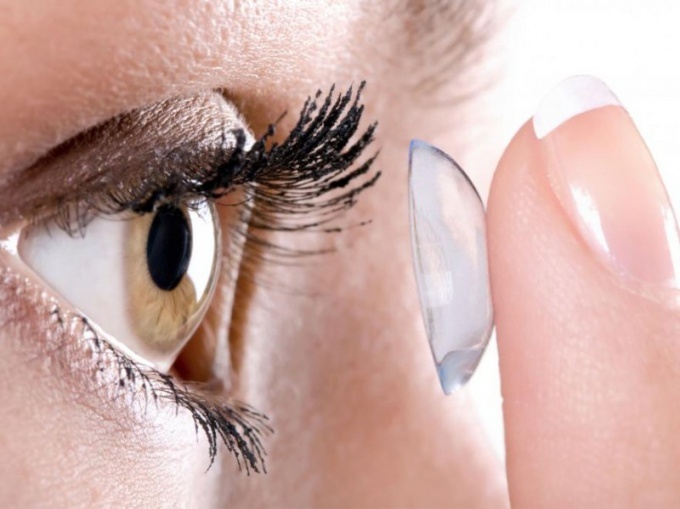 Contact lenses are a convenient and safe alternative to glasses. If you decide to purchase, decide beforehand which option you need. There are dozens of varieties, differing in mode of wear, material and price. Contact lenses can be hard or soft. The latter is more popular - they are comfortable to wear and hardly felt on the eye. These lenses are recommended for various degrees of myopia and astigmatism. However, in some cases, ophthalmologists suggest hard lenses that can correct the shape of the cornea. There are special treatment options that you wear at night - during sleep they corrected the cornea, improving vision. Modern lenses are different and the degree of hydrophilicity. The water content can be high, low or average. Important and breathability. The higher it is, the more comfortable feeling of the eyes. Today is a special demand lenses from silicone hydrogel that do not impede the flow of air to the cornea. Choosing lenses decide how often you will change them. Ophthalmologists considered the most popular lens, designed for two weeks or a month. Among them are products designed for continuous wear which can be worn at night. Some consumers prefer heavier lenses that need to be changed every six months. A very convenient option for a one day lenses. They sell packages monthly. These lenses can be worn all day and night just to throw it away. Option is ideal for those whose life involves traveling, and people with especially sensitive cornea. To stay on a particular version of the lens will help the ophthalmologist. Before buying be sure to check the vision is to do better every year. Determine the curvature of the cornea - this option is required when buying lenses. A particular brand may advise the physician according to your wishes. With lenses purchase solution to take care of them, storage container and plastic tweezers. The beginner is better to carry and moisturizing drops such as artificial tears. The drops will help to remove dryness of the cornea and to cope with unpleasant feelings. For starters, wear your lenses no more than 3-h hours. Then the time spent in them can increase. Carefully listen to feelings. Pain, redness, feeling of "sand" in the eyes of the light, the lens is an urgent need to remove. If such feelings you are experiencing constantly, see your doctor - you may have selected the model you just don't fit. Note that lenses cannot be worn for those who have a diagnosed intraocular infection, glaucoma, allergies. During the cold and flu from wearing lenses and should abandon.